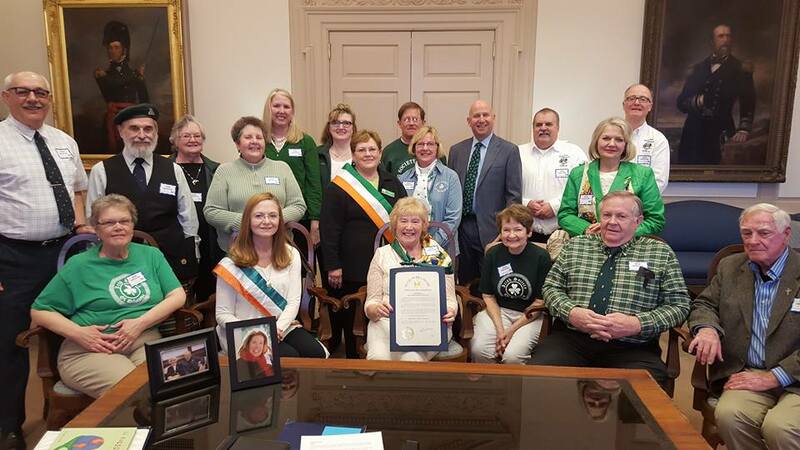 Jack Merkell, the Governor of Delaware, declared March "Irish Heritage Month". All of the Irish organizations in Delaware were invited to the Governor's office for the reading and signing of the Proclamation. Representing The New Castle County Irish Society were Cathy Jones, Ellie and George Williams. Wilmington College visited The New Castle County Irish Society’s February Ceili and filmed our dancers and interviewed Bud Burke and Mary Collins. It is to be included in their class on Irish Culture.